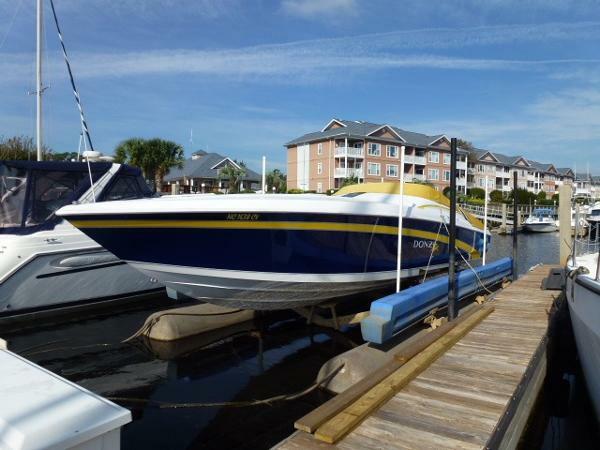 2000 Donzi ZX-38 This ultimate offshore racing/cruising Donzi 38 ZX offers adrenaline rushing speed and stylish good looks. With more room and amenities than any boat in its class, the 38 ZX was designed to showcase all the attributes of a world class performance craft. 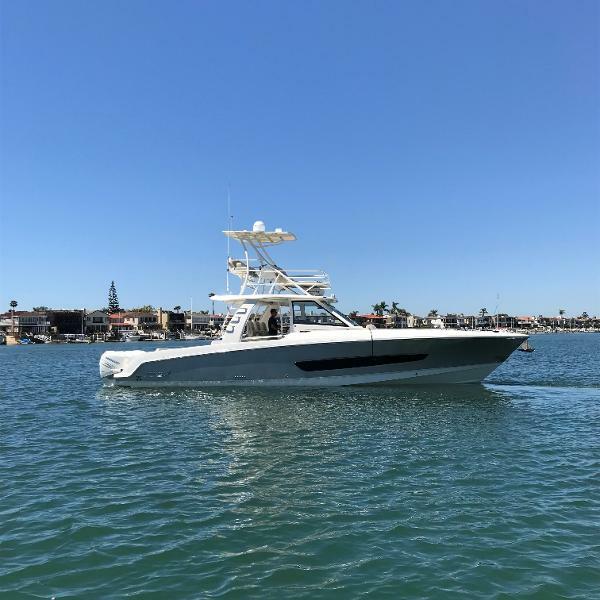 This boat has it all...Featuring 6'2" of interior headroom and an enclosed head, it features the largest and most accommodating interior for a 38' high performance machine. The dining/lounging area can comfortably accommodate five or six adults. The efficiently designed galley incorporates a freshwater sink, electric stove top, below counter refrigerator, icemaker, plenty of storage, and generous counter space to prepare snacks and meals on the go.But even more impressive is what's on the outside. A custom dash encases premium gauges, custom powered bolstered seats with adjustable foot rests and Hi-performance racing throttles offer complete control at your fingertips. 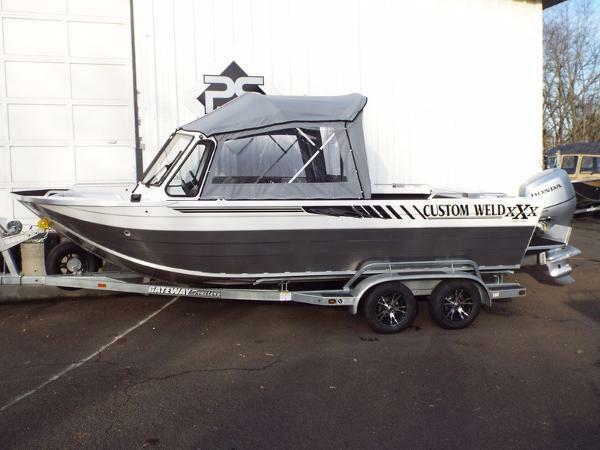 With top end speeds exceeding 70 mph, this sea rocket gives an exciting, yet comfortable ride. And for those who seek a special signature look, this Donzi offers a custom graphics package to make your ZX a one-of-a-kind head turner.Indulge yourself in total performance, total control and total luxury with the 38 ZX. A boat that not only stands alone in its class, it is the class. 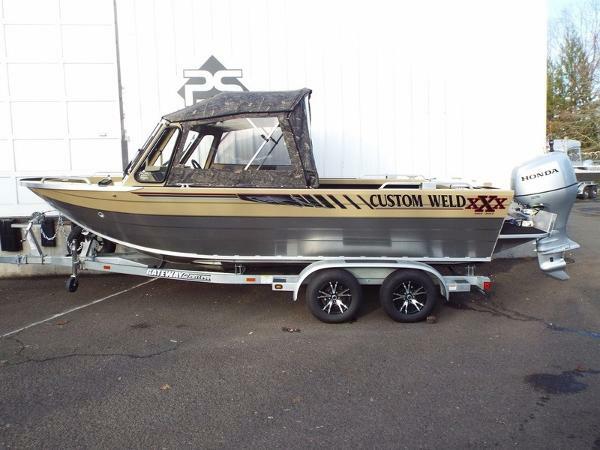 1983 Custom Cat 400 This fast Custom Cat 38 can be used for 2 purposes: Weekend champion or sailing excursions business. 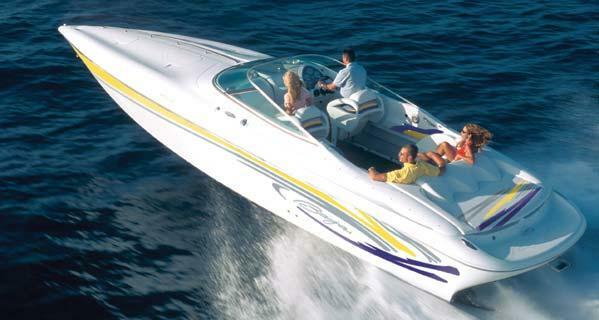 Weekend Champion: "Double Eagle" is made for the sailor who wants to go fast - very fast! The winged rotating mast with the high performance sails makes this the boat to chase. The boat has been certified at 30 miles per hour. The flat 18' wide (beam) cockpit deck that straddles the hulls allows a quick tacks and unencumbered movements by the crew. 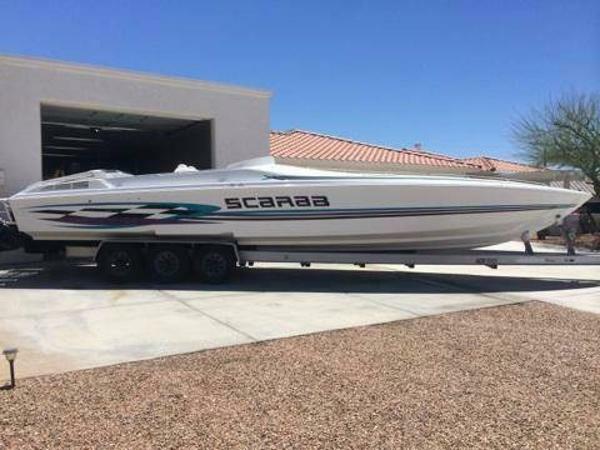 If speed is what your preference than this boat you will prefer. 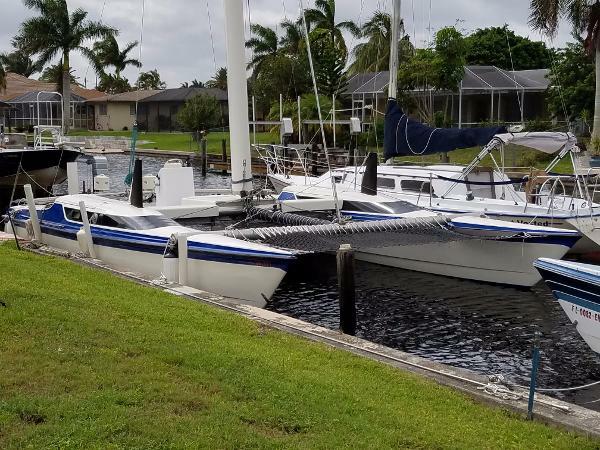 Sailing Adventure Business: If you are looking to start a business of increasing your fleet this is the boat to do it with. 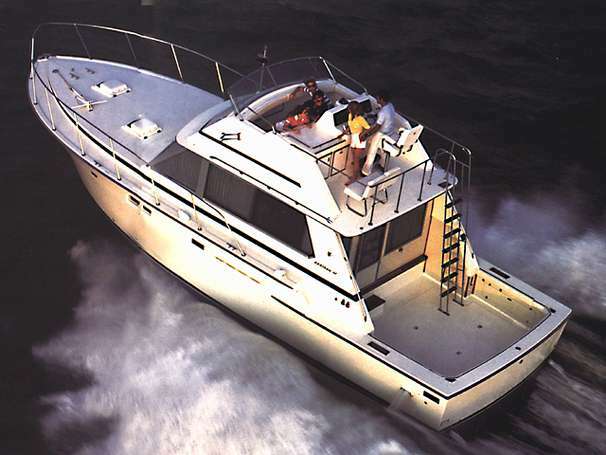 The large flat cockpit easily will allow a large group, to enjoy a "rum runner sunset" or a day sail. The main sail is a attached to a aft traveler and has no boom; which reduces the chances of injury. And it's fast - in a good winds; giving them a true sailing experience. 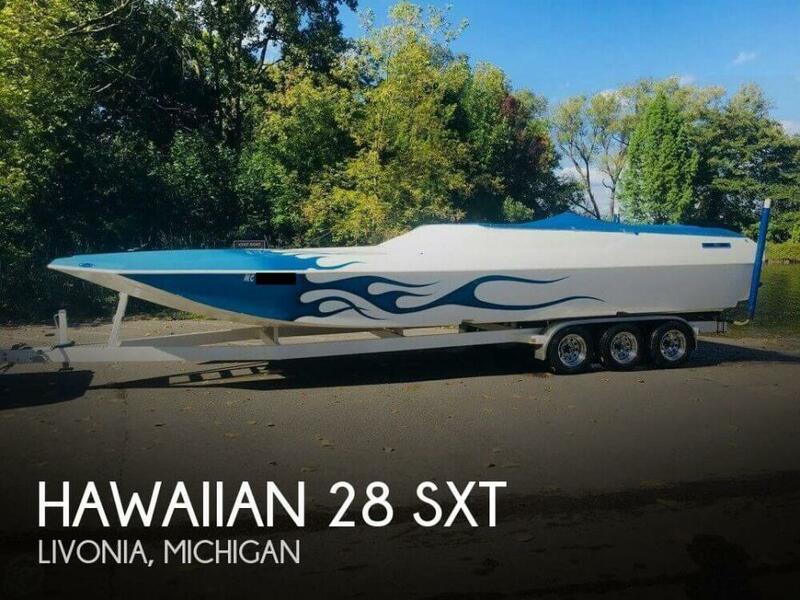 Features:Winged rotating mastHigh performance sail inventoryDual electric motorsStanding rigging upgraded 2014 Brokers Notes: This boat is designed for speed. 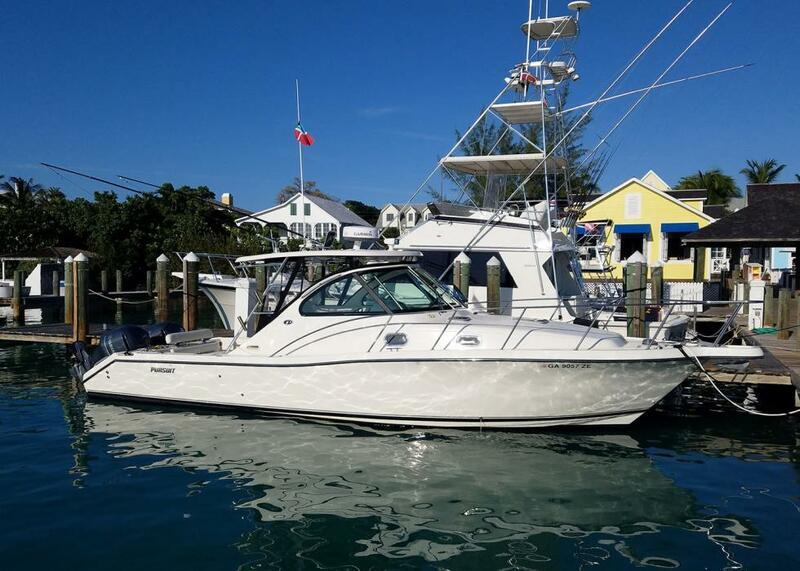 The original McGregor 36 hulls were modified and length and coated with cold tar epoxy and M17 offshore paint. Two ray electric 400 48V outboard easily moves this vessel. A full charge provides of range between 40 - 50 miles at 7 knots. The hulls provide storage, single berths and a portable head. 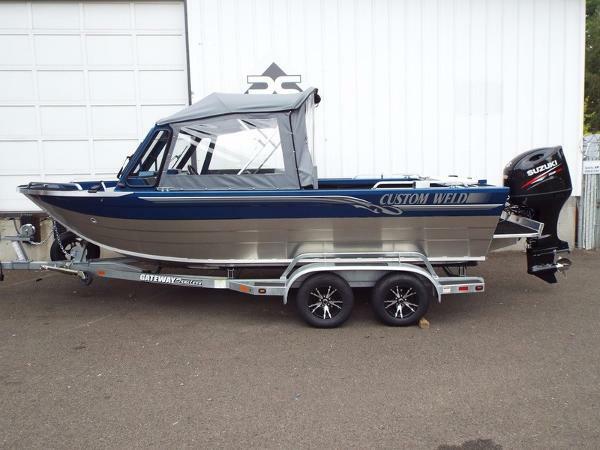 "El Toro" 2014 Custom Built Fiberglass Catamaran 38' length 16.6' width Twin 2014 150 HP Yamaha 2 strokes, Roughly 800 hours, 90 percent of the time the boat was idling doing Magnetometer surveys. 2 100 gal fuel tanks Custom Built Dive Ladder, and Outriggers Lots of storage lockers Scuba Tank Storage for 28 Scuba Tanks Furuno 1835 Radar Humminbird 1198c SI GPS New Bottom Paint Jan 2015 This incredible, unique boat was designed and custom built to be used as a dive/survey boat for Global Marine Exploration. 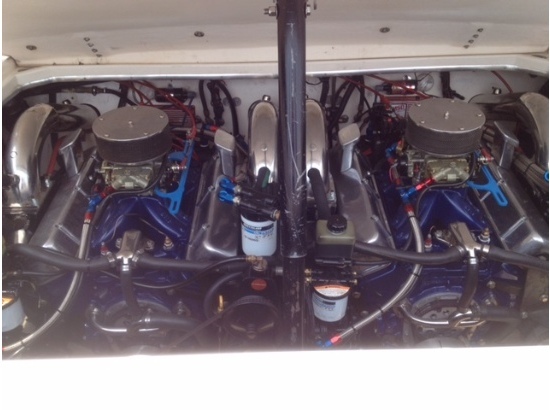 The hulls are built out of Fiberglass. 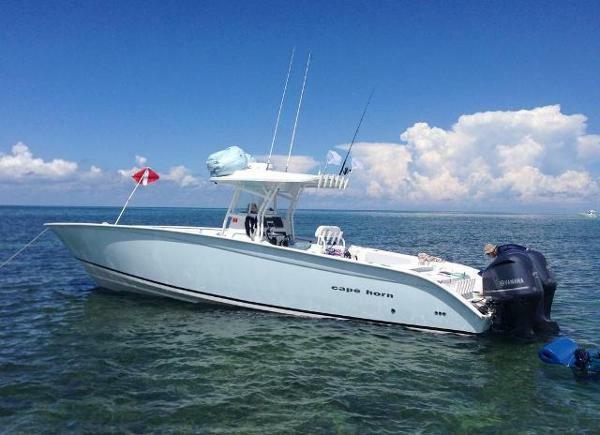 The boat was finished in 2014 and brought to Cape Canaveral FL where is currently being used to do marine surveys and to take divers to offshore sites. It is outfitted with two aluminum outriggers which could easily be removed if you no longer plan on fishing or surveying. 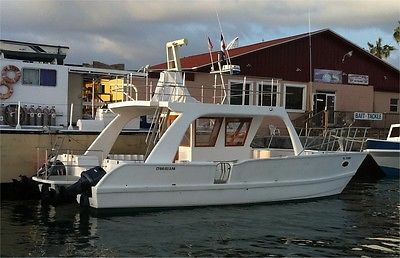 The boat is extremely comfortable, there is so much open space and storage room, you will never bump into anyone. It is also very light and fast and travels in excess of 20 mph.